Select the person or object in the photo. The selection appears on a new layer above the Background layer. 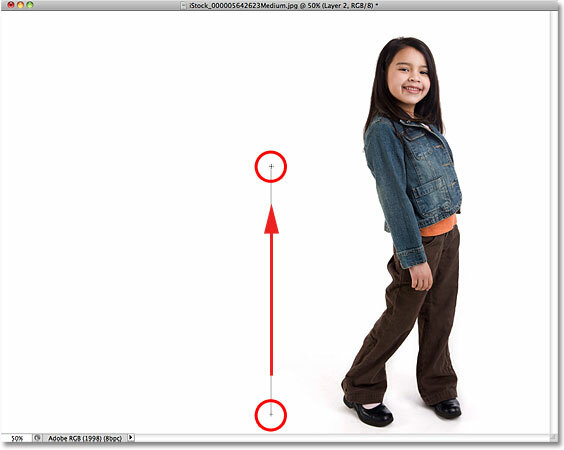 Dragging the Crop Tool diagonally across the entire image. Adding more space on the left by dragging the left crop handle. 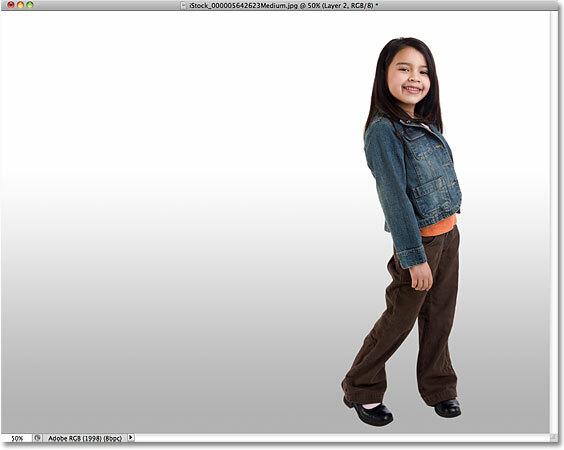 Since my Background color is white (the default color), Photoshop fills the new canvas space with white. Click on the New Layer icon while holding down Ctrl (Win) / Command (Mac). The new layer appears between the original two layers. Black is the default Foreground color. 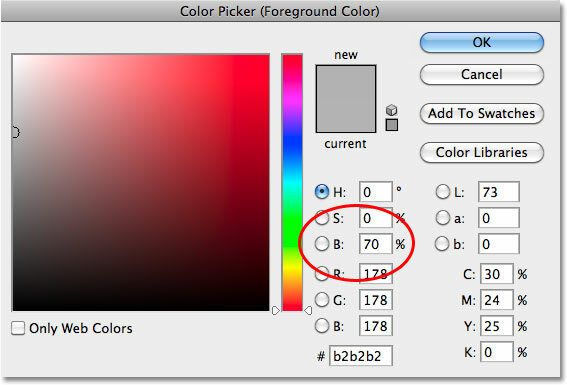 Set the Brightness (B) value to 70% for a light gray. H (Hue) and S (Saturation) should remain at 0%. Select the Foreground to Background gradient. Drag out the transition area for the gray to white gradient. The subtle gradient adds a bit of depth to the image. Click again on the New Layer icon. Layer 3 appears above the gradient. 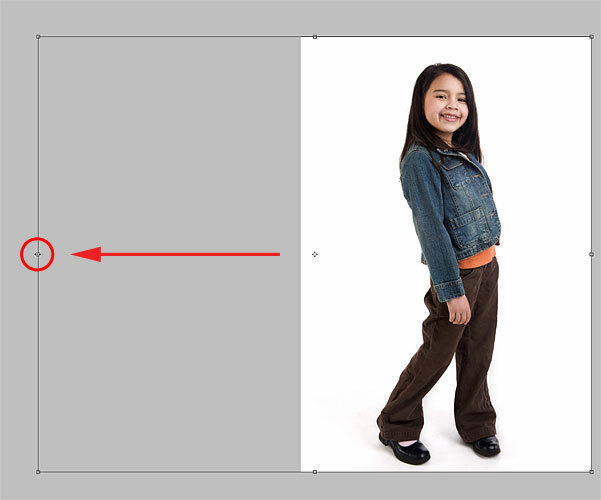 Hold down Ctrl (Win) / Command (Mac) and click on Layer 1?s preview thumbnail. 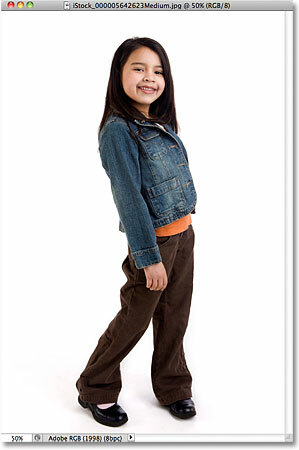 A selection outline appears around the person or object that we first selected back in Step 1. Set Use to Black, then click OK.
We can see the contents of a layer in its preview thumbnail even when we can’t see it in the document window. Go to Edit > Transform > Distort. Drag the top transform handle to distort the shadow into shape. 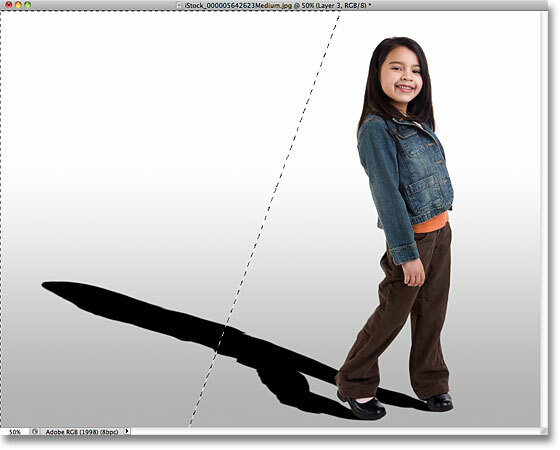 Drag the bottom corner handles if needed so the bottom of the shadow lines up with the person or object. The initial shape of the shadow is now in place. A Radius value of around 1.5 pixels is all we need for starters. 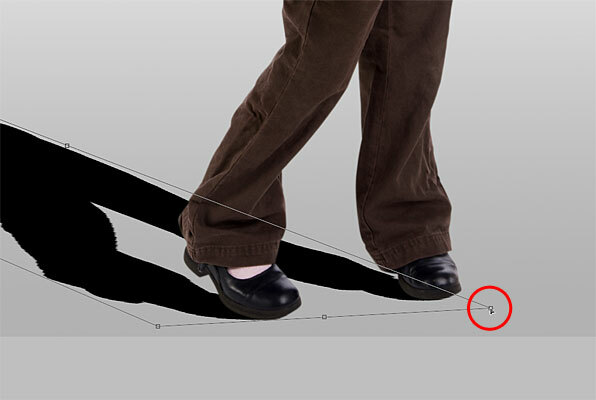 For a shadow to look realistic, the edges need to become gradually softer the further away it extends from the subject. To create this gradual blurring effect, we’ll again turn to the Gaussian Blur filter, but first, we’ll create a selection using Photoshop’s Quick Mask mode. Drag out a diagonal gradient from the bottom to the top of the shadow. As the color fades from red to transparent, the area becomes gradually more selected. 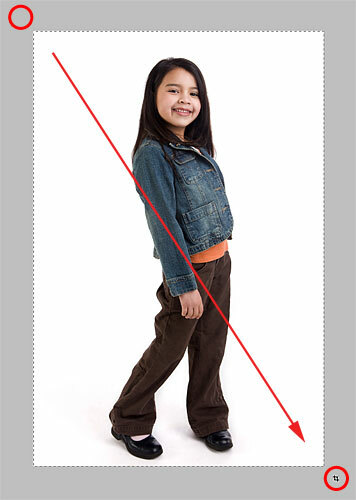 Photoshop can’t accurately display selection outlines around pixels that are only partially selected. Increase the Radius value to 10 pixels or so. The shadow edges now look more realistic. A layer mask thumbnail appears after clicking the Layer Mask icon. 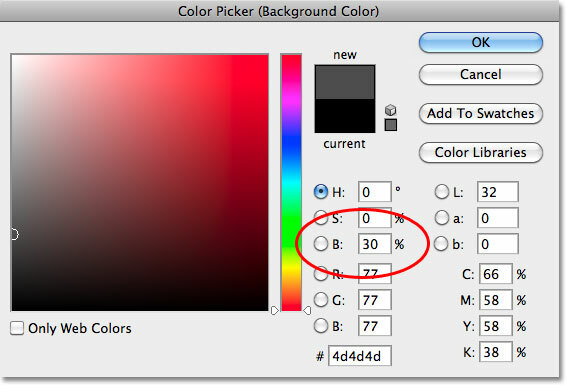 Click on the Background color swatch (the one in the lower right). Choose a dark gray for the Background color. 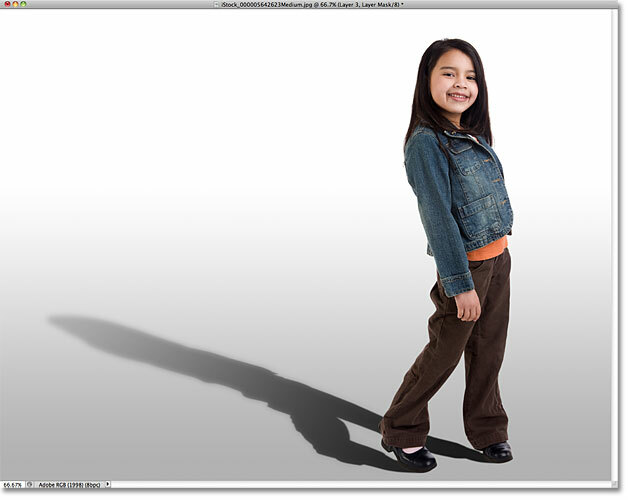 Draw a white to dark gray gradient from the bottom to the top of the shadow. The shadow now gradually fades away. Lower the shadow layer’s opacity to 85%.